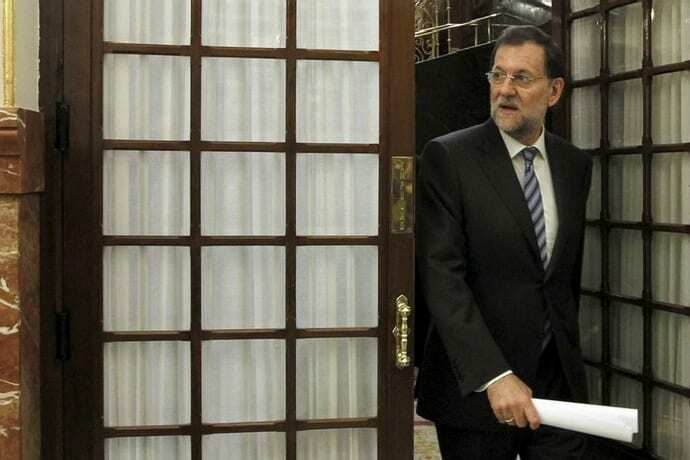 Madrid, MADRID, Spain – Spanish Prime Minister MARIANO RAJOY, arrives at the Lower House of the Spanish Parliament to attend government question time as the Spanish Economy Minister insisted that the bank bail out approved by the European Union for Spain will not carry economic austerity measures. This entry was posted on June 13th 2012 at 4:47pm/16:47 and is filed under Live News Column 1, World News. You can follow any responses to this entry through the RSS 2.0 feed.